Brand New, Latest edition - The N Z Poultry Standard Third Edition. This is a stunning Hard Cover book in both colour and black & white. Compiled Ian Selby in conjunction with the New Zealand Poultry Association. (This is not a reprint, but the very latest 2013 standards). Note; This book can't be found in Book shops, can only be purchased new through poultry clubs or authorised sellers. Dont miss out, we only have very limited numbers available. 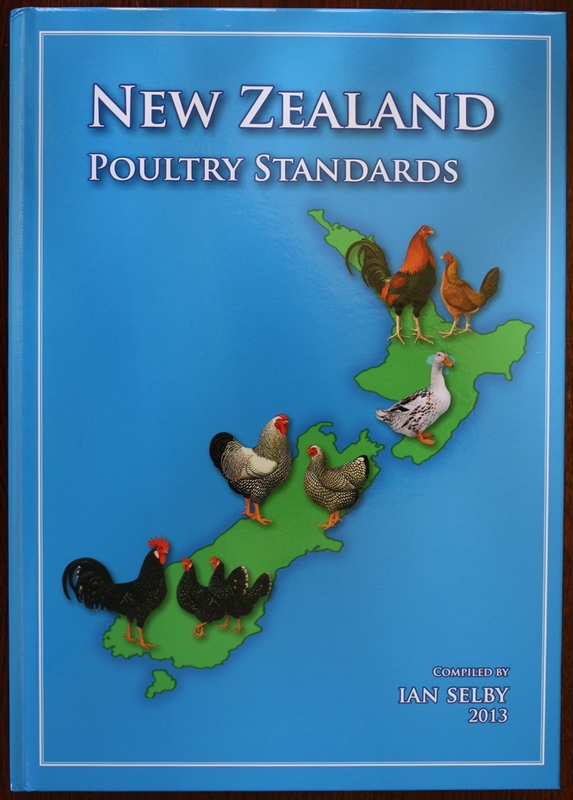 This book is the best way to find out if your birds are bred to the Correct NZ Poultry Standard.